ST. GEORGE – As the body of a Utah National Guardsman returned home Thursday, the governor has ordered United States flags across the state be lowered to half-staff in honor of the fallen soldier. Last week, Staff Sgt. 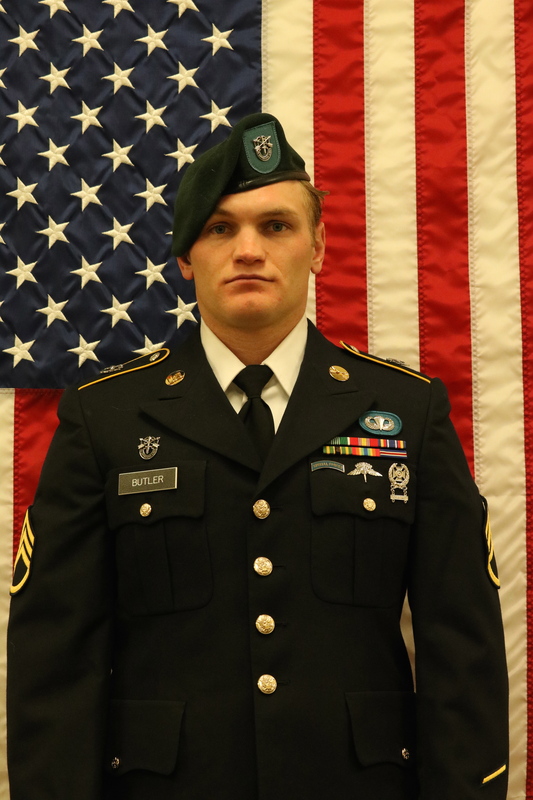 Aaron Butler, 27, of Monticello was killed in eastern Afghanistan when an explosion destroyed the building he and 11 others were clearing at the time. He was a part of 1st Bravo Company, 19th Special Force Group (Airborne) and was a Special Forces Green Beret. Butler’s unit was in Nangarhar Province in Afghanistan as a part of operations against Islamic State groups in the region, according to the Utah National Guard. Butler’s body was flown to Monticello via a private plane just before noon Thursday, Fox 13 News reports. A motorcade carrying the body then passed from Monticello to Blanding. Gov. Gary Herbert has ordered the American flag to be lowered to half-staff on Saturday, the same day Butler’s body is set to be laid to rest. The funeral services are set for Saturday at noon at the Monticello LDS Stake Center in Monticello. Prior to that, a viewing will be held from 9 a.m. to 11:30 a.m. Internment will be at the Monticello City Cemetery. Anymore, I nervously wait to see if some band of George Soros thugs, bigots, or terrorists will show up. God Bless this family and this man for his service to his country.